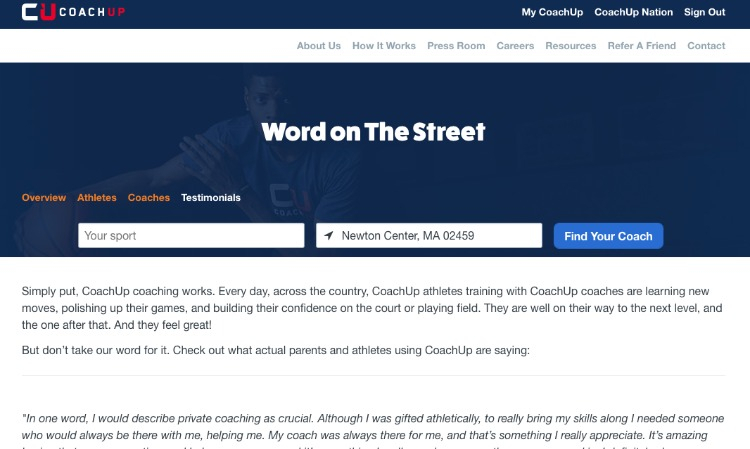 CoachUp connects athletes with the nation's top coaches. 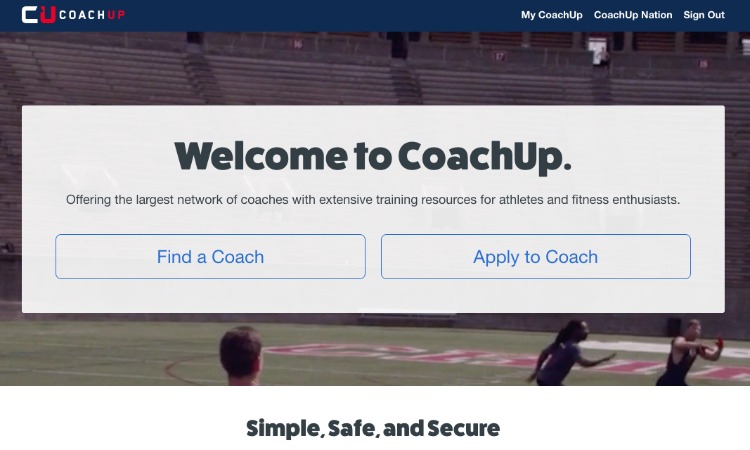 CoachUp is a service that connects athletes with private coaches in 30+ sports. We truly believe that private coaching is the secret to reaching the next level in sports + life. 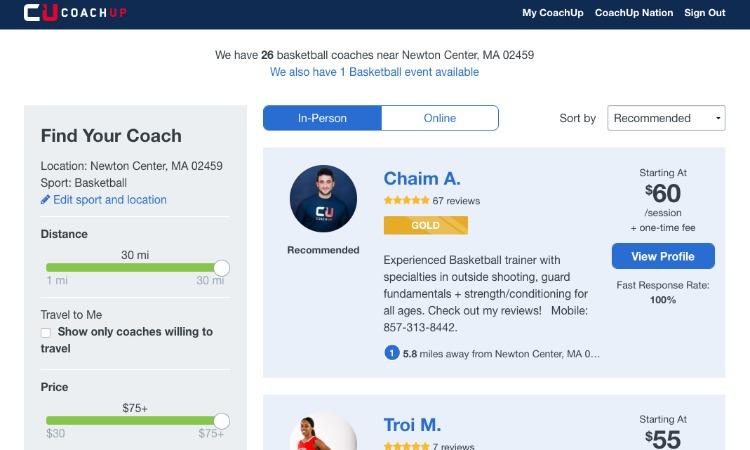 We are the nation's leading private coaching provider with over 15,000 private coaches in every sport, all across America, and we aim to provide every athlete who comes to us the opportunity to find a coach who can take their game to Another Level™. 3. Book sessions, start training and start improving! 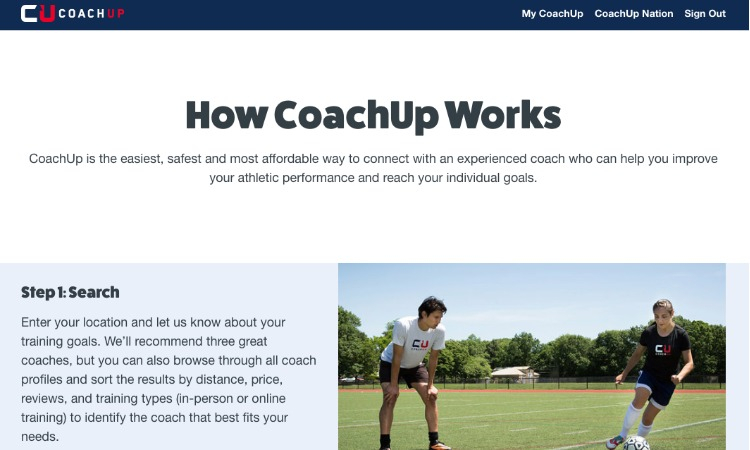 Watch this short video to learn more about how CoachUp works! "My son started coaching sessions with Coach Victor and was very nervous because his previous coach in another league always yelled and pushed the kids way too hard for 7 and 8-year-old children, making it more about winning than developing talent. Coach Victor not only was extremely relaxing and positive with my son but also taught him QB techniques that I have never seen before. After practice, I asked him what he thought of Coach Victor on a scale of 1 to 10, and he said one million! Needless to say, we will be using him again in the near future." "Coach Michael is a great coach! After only one hour of training with him, I already saw an improvement in my throwing and my technique. I look forward to training with him in the future." "Coach Chris was great with my son. He laughed with him, gave him some pointers and wasn't afraid to get him to focus when need be. The tips he gave us were invaluable, and we will continue to work with Coach Chris whenever possible!"